Hi everyone. I love classic cinema and theatre ephemera such as magazines, posters, stills, etc. 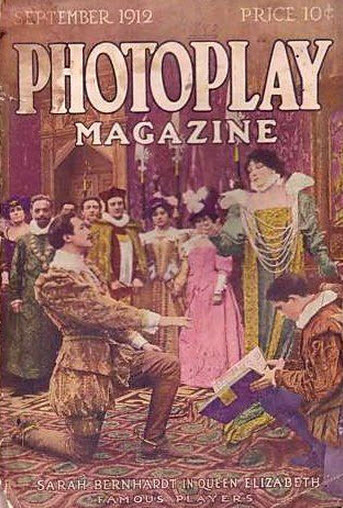 I plan on setting up a site about 20th century movie and theatre magazines, but until it’s up and running you may want to visit my Pinterest board. Lots of movie and stage memorabilia there! To start with, here’s a favorite Pin of mine: a Photoplay cover of opera star Geraldine Farrar, who starred in Cecil B. DeMille’s silent film version of Carmen.